The Generac CUL Approved Automatic Smart Transfer Switch is a CUL open transition transfer switch that automatically and safely switches the generator online in an event of a power outage. This transfer switch features an integrated Digital Power Management (DPM) Technology, that can manage up to four individual HVAC or 24 VAC-controlled loads without an additional tool. With its automatic feature, it can easily convert the load from the generator back to the appliances with safety. 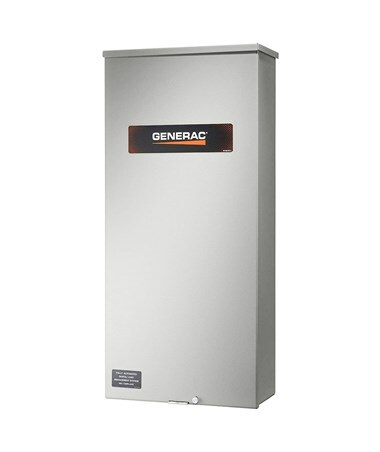 This Generac automatic transfer switch offers a <60% utility voltage dropout and a >80% utility voltage pickup. With a selectable current up to 200 amps, it provides a voltage of 120/240 volts single-phase. For additional safety, it comes with a 60-second engine cool-down timer. Enclosed in an aluminum NEMA/CUL Type 3R enclosure, this CUL-approved transfer switch also comes with multiple access points to allow wire entry on the bottom, bottom left, and Botton right. It also has an electrostatically applied and baked powder paint for a safe yet elegant look. 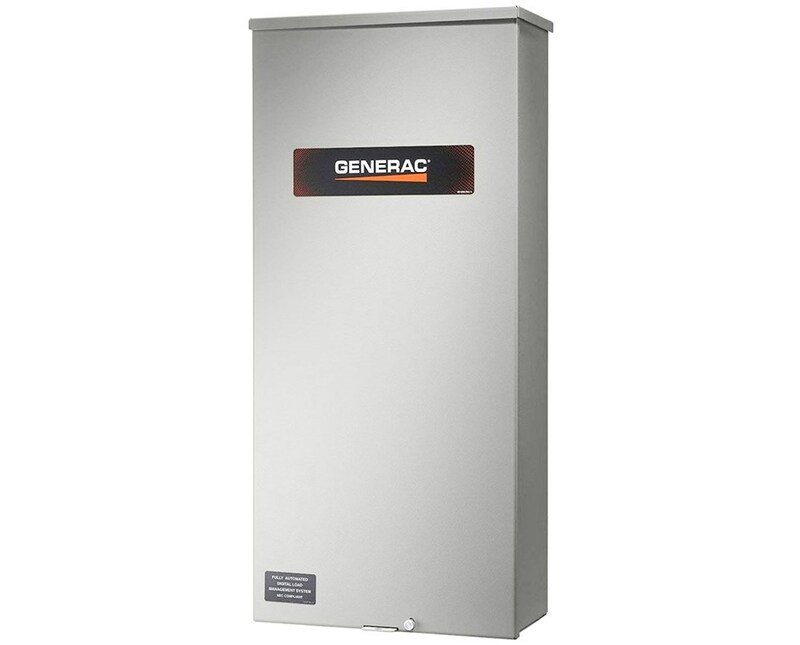 As an additional feature, this Generac transfer switch has a serviceable key-hole style mounting that flushes the device against the wall or any flat surface. Please Note: This transfer switch is also designed for use in whole house applications in Canada. The Generac CUL Approved Automatic Smart Transfer Switch offers two amperages to suit your needs. Please select your preference from the menu above.